Australia has a new solution to its draught problems: just send me outside to put anything in the roofbag, and the skies will open up! It’s no rain dance, but it gets the job done! I would count six times this week I have come in from the rain, waited until it stopped, and darted to the car, only to invite the next deluge right when I was totally exposed to the weather, rear hanging out, and halfway through some reorganization project! As you may have guessed by our last several posts, we’ve had some or constant rainfall for what we count as nine days in a row now, and the forecast calls for storms to continue along our planned route up the eastern coastline through next week. Yikes! We need to adapt or grow gills! Yesterday morning I woke up, hopped out of bed, unzipped the camper trailer tent, stepped outside to start the day, and found my toes squishy and my feet deep in puddles! I looked to my right, and to my dismay the small pile of firewood I had artfully stowed under the trailer in hopes of keeping it dry was nearly floating… Hasta la vista, s’mores. 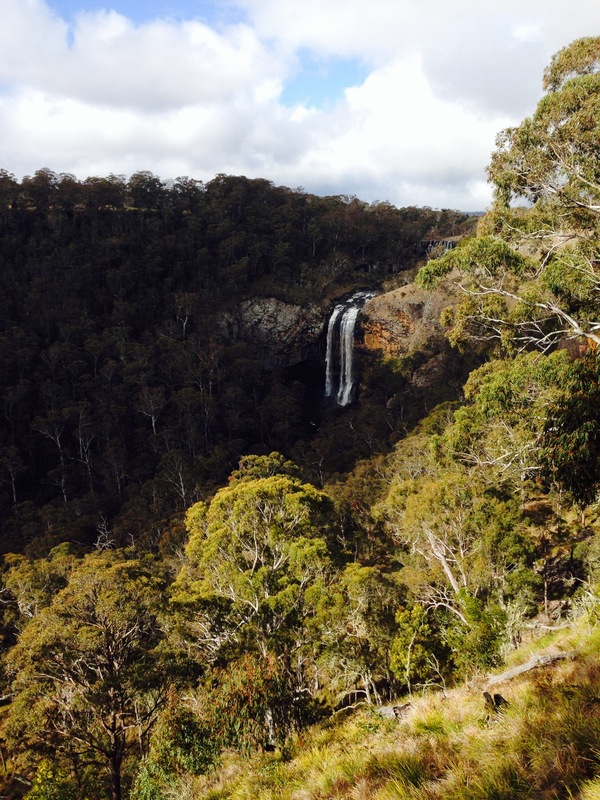 So we decided to head inland to escape the rain and had a pretty fun day, driving the Waterfall Way on the advice of some new friends. We went from Belligen, through the high country, and made camp tonight on a lavender farm outside of Stanthorpe four hours west of the coast. 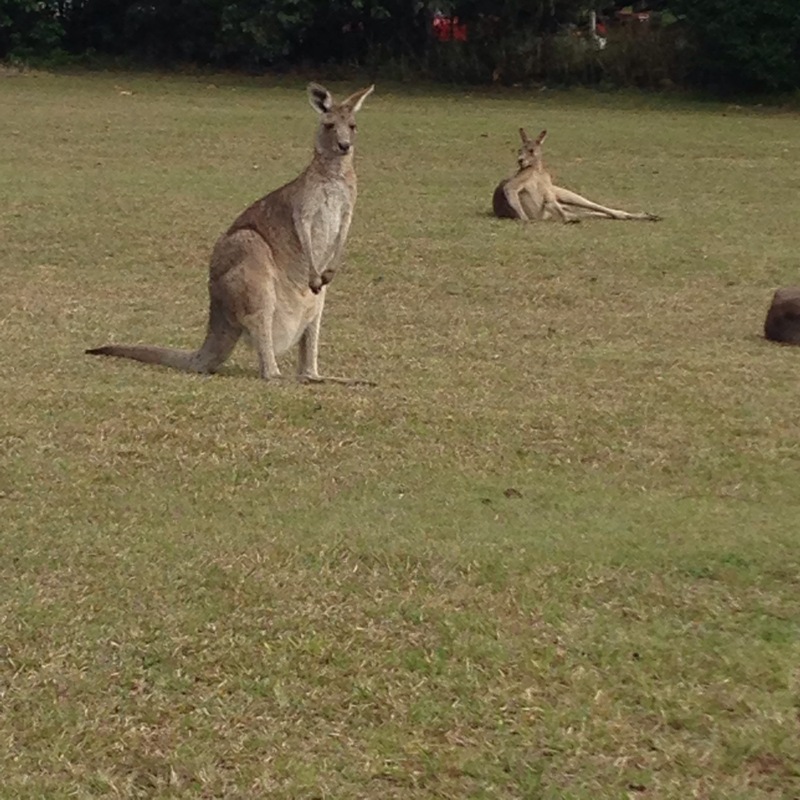 The trip was great and featured many kangaroo sightings, to the delight of us all. We drove a bit too far into the evening and had a heart pounding last hour of driving, where we literally saw a dozen kangaroos, hopping alongside our vehicle! Several of these guys decided to leap across the road right in front of us! Thankfully we were able to brake or safely evade them…. Did NOT want to break in our bull bars with a kangaroo in front of our four year old twins!! Despite the rain, we have been having fun getting to spend time together as a family. Talking to our darling, almost 5-year old twin boys Finn and Lake. I’ve had great fun passing the time with them playing Uno and SkipBo, card games I remember playing with my brother Hunter and my dad when we visited our grandparents each summer. It’s funny how Uno has passed the test of time! 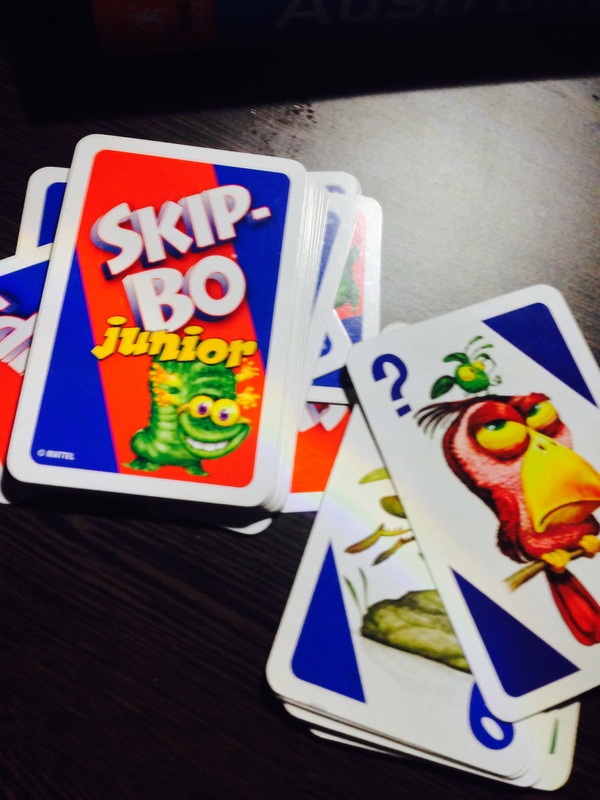 The kids favorite cards are Skips- so much nicer than Draw Four! Looks beautiful! 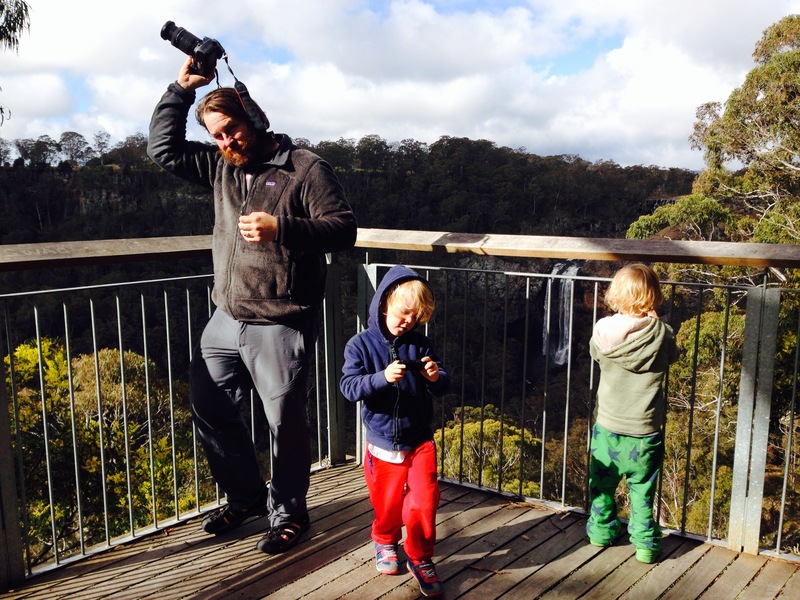 The boys must have been thrilled to see the kangaroos. Sounds like the tide has changed and you are on course for great times! Those kangaroos are amazing! Sounds like you are headed in the right direction. Looking forward to some dry stories ahead!